A great romantic (or proposal) song for that special someone! 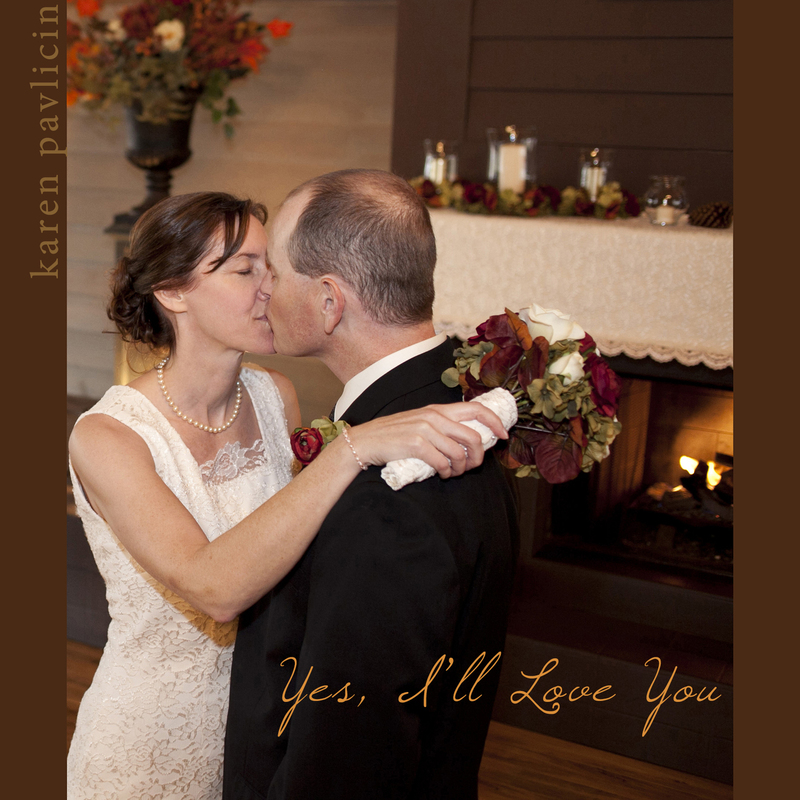 Karen recorded her love song singles in Nashville in preparation for her wedding in 2011. Karen had written “Yes, I’ll Love You“ as a gift for her then-boyfriend Geno for their first Valentine’s Day together. The lyrics recall a conversation they had early on in their relationship. “We were out on a date/ In this romantic place/ When you took my hand/ And said, I want to be your man/ But…” They knew it would not be an easy road (newlyweds with teens!) but they had already started to fall in love and wanted to spend the rest of their lives together. This song became the prelude for their intimate fireside wedding ceremony in November 2011. Vocals: Karen Pavlicin and Tim Buppert. Danny Parks electric guitar and fiddle. Wayne Killius drums. Spady Brannon bass. Jimmy Nichols keys. Robin Ruddy acoustic guitar. Produced by Robin Ruddy and Larry Sheridan. Recorded and mixed by Matt Legge at The Parlor Studio, Nashville. Cover photo by Roee Dori.